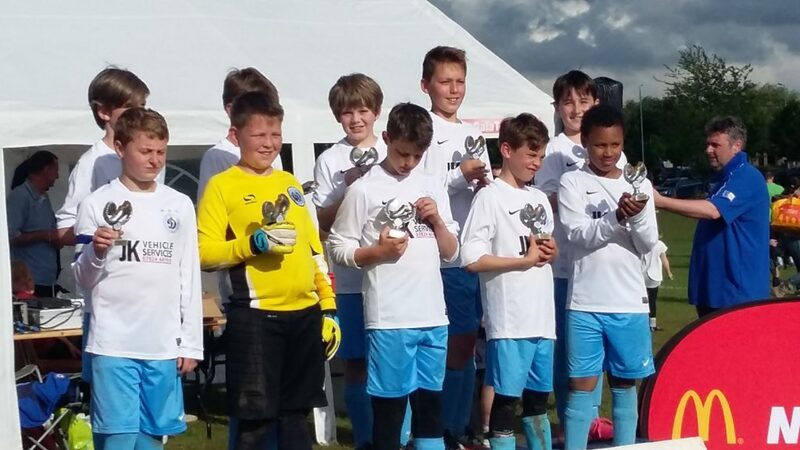 WRFC Dinamo U11s just missed out yesterday, loosing 2-3 on penalties to Burpham Juniors in the Goldsworth Park Rangers Cup Final. It was an excellent tournament for Dinamo, fighting through the group stage as group winners, winning 3 matches, drawing 1 and scoring 4 goals without conceding. In the Semi-Final we faced a very good Chertsey Town side, drawing 0-0 after extra time and winning through to the final 3-1 on penalties. The Final against Burpham Juniors was a tense affair with both sides probing but ultimately failing to score, due to great goalkeeping and solid defending. After a goalless draw it went to the lottery of a penalty shoot-out. Sadly, this time, Dinamo lost their first ever penalty shoot-out, 2-3. Despite not conceding a goal in normal play throughout the tournament, the margin between success and failure is so small: it all comes down to a kick!